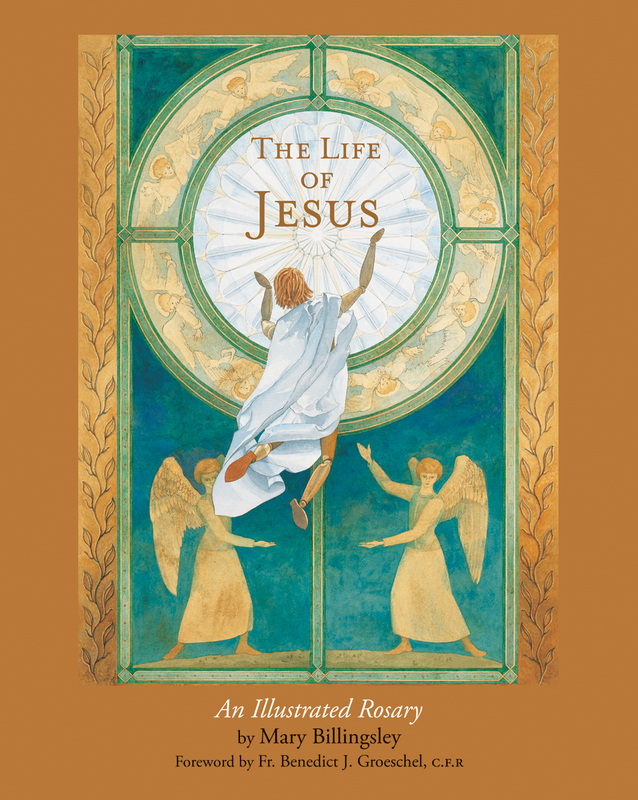 In her book The Life of Jesus: An Illustrated Rosary, Mary Billingsley highlights the joy, sorrow, and glory of Jesus’ life as she teaches children to pray the rosary. 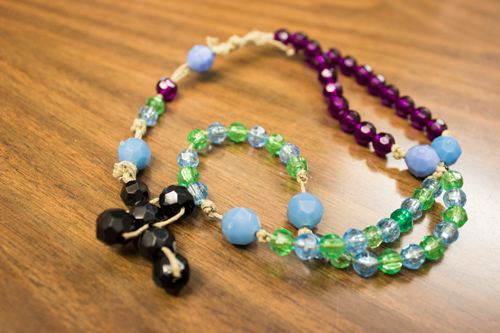 Make your own beaded rosary to use as you meditate on the mysteries of Christ and work to cultivate a more disciplined prayer life this Lenten season. 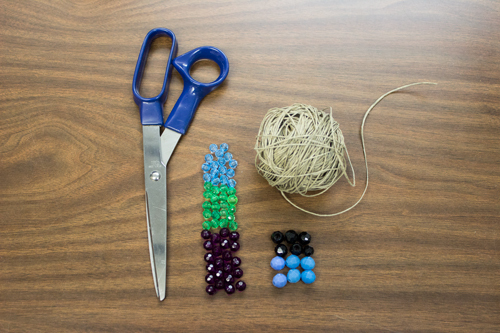 Step 1: Cut 2½ to 3 feet of string (depending on the size of your beads). 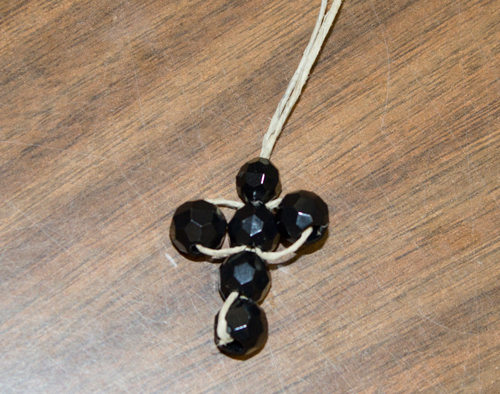 Step 2: Bead the cross (skip this step if you have a ready-made cross). 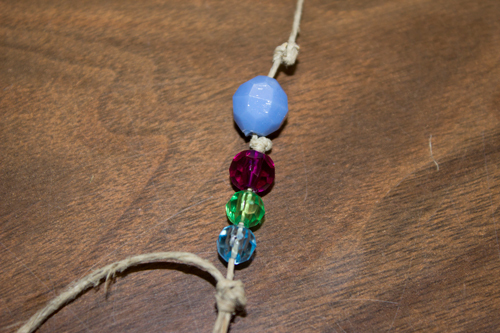 String your first bead so that it has 5 to 6 inches of string on one side of it and the remaining string on the other side. 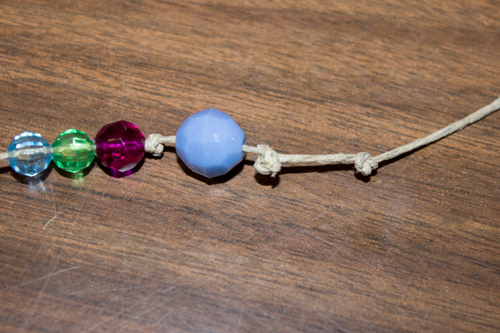 Put both sides of the string through the second bead. 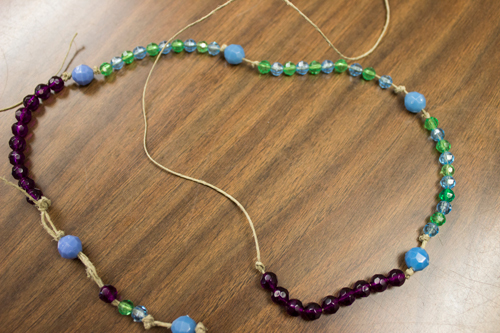 Pull both of the sides of the string together and string the final 6th bead onto both sides. 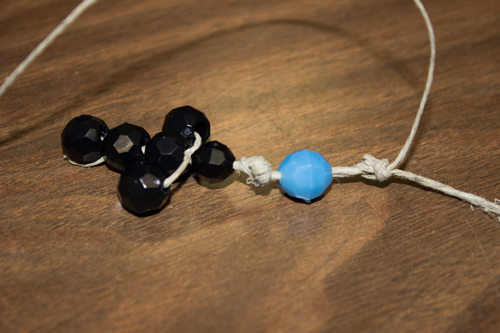 Step 3: Bead the Rosary. 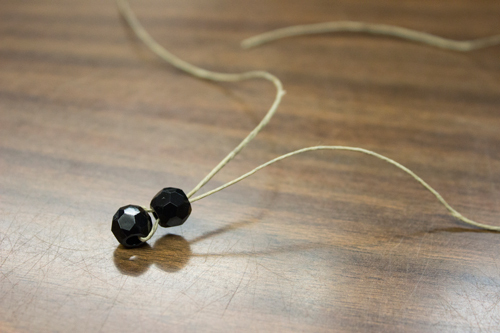 String on 1 “Our Father” bead and tie a knot after it. 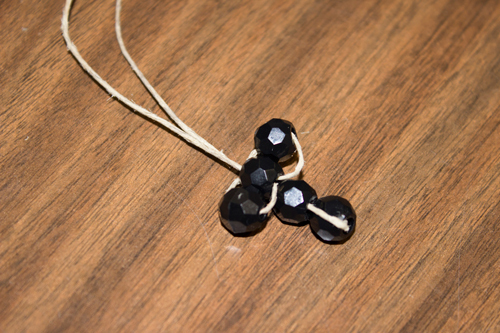 Then 3 “Hail Mary” beads and tie a knot after the three beads. 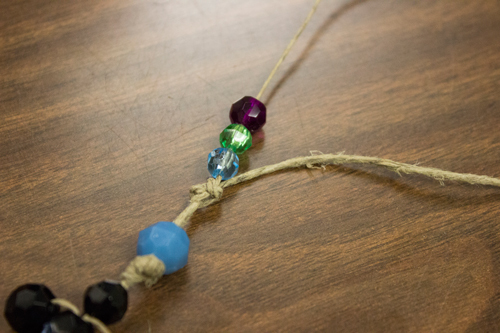 Then string on 1 “Our Father” bead and then another knot. 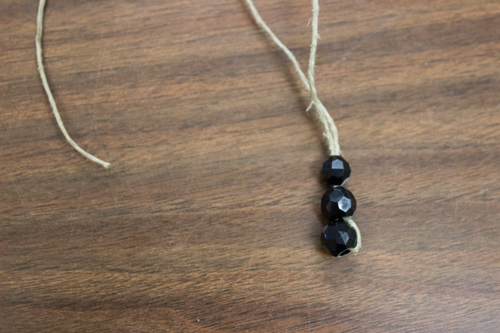 Before you string more beads tie another knot, so you have the knot after the last “Our Father” bead, a space about the size of a bead, and then another knot. 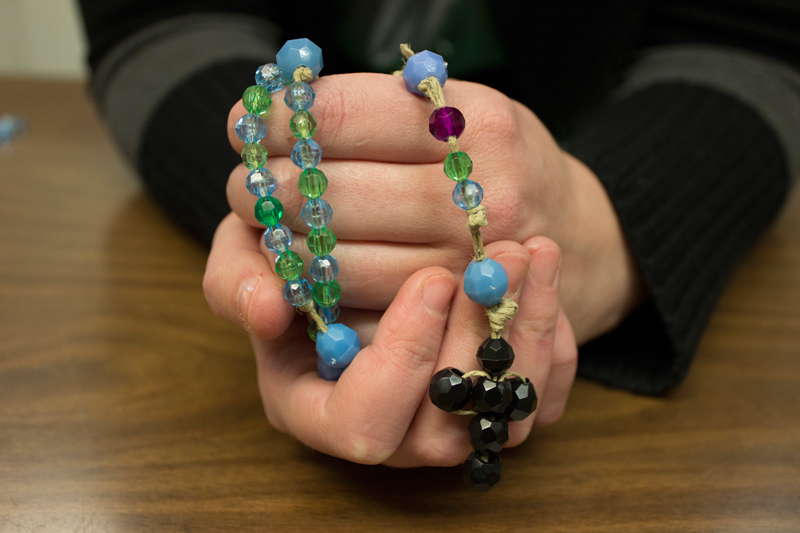 This will separate the bottom of your rosary from the top section. 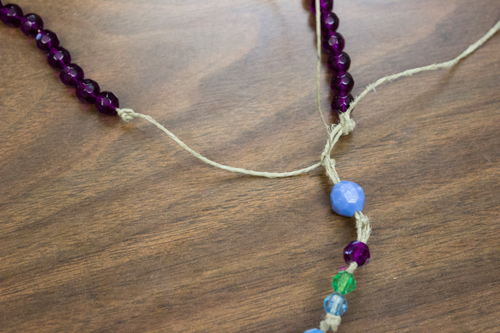 Now start beading the main part of the rosary on the long side of the string. Follow the pattern below until you have strong all the beads. You should end up with 5 sections called decades. 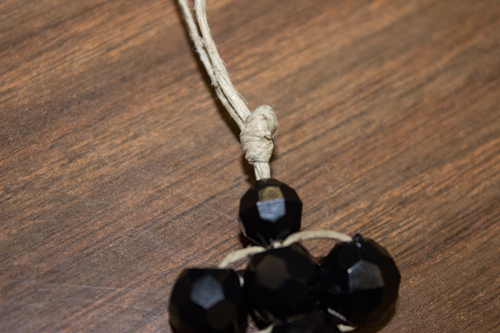 The pattern should end with a section of Hail Mary beads then a knot. 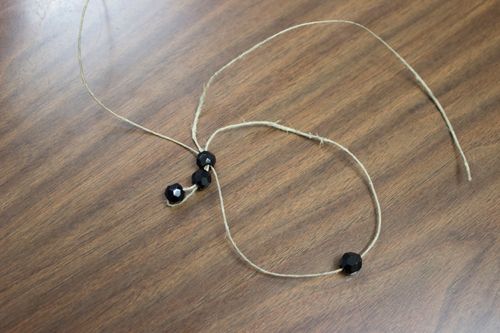 Tie the two ends of the string together to complete the circle with the top section. 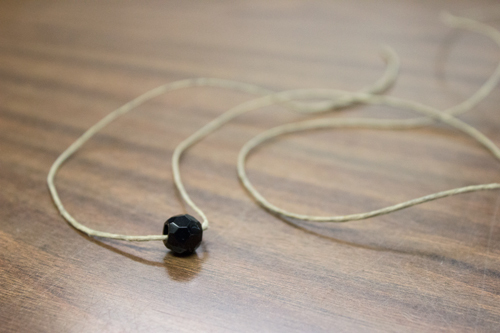 To keep the ends of the string from unraveling you can . . .
Melt/burn the end of the string with a lighter (adult’s help needed). Wrap tape around the end of the string (to replicate the plastic covering on the ends of shoelaces of the strings of hooded sweatshirts). Our Lord is with thee.